Dana Probert over at the Engineered Efficiency Civil3D.com blog wrote about quickly changing your Civil 3D Drawing Scale with the new Annotation Scale. 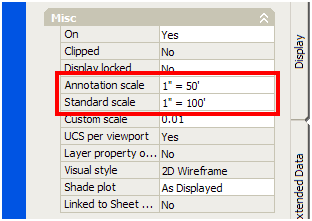 Using the Annotation Scale fly out on the Status Bar we can quickly change our Civil 3D Drawing Scale. Those familiar with previous versions of Civil 3D will recall having to go to the “Settings” tab from the Civil 3D Toolspace. So that tip helps us out when working in Model Space, but what about Paper Space. One of the most exciting things about the initial Civil 3D release in 2004 was the way it could dynamically scale your text. While this has been one of the most welcomed features within Civil 3D, it has also proven rather aggravating at times. As is the growing trend all over, residential developments seem to yield higher and higher densities. 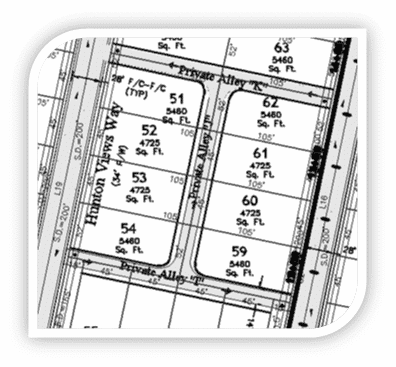 With high-density developments come smaller and smaller parcels. Suddenly the 0.1-inch tall text defined in my parcel style is too tall, and severely disproportioned to the parcel it labels. So what is one to do when they need to prevent their parcel labels from scaling? Prior to the release of Civil 3D 2008, I accomplished this by scaling my title block X2, and then using a page setup to scale my layout 50%. This allowed me to set my viewport to say 1″ = 50′, but effectively plot at 1″ = 100′. The workaround was fall from eloquent, and in fact very difficult to explain. Thankfully AutoCAD Civil 3D 2008 offers a much nicer workaround thanks to the introduction of Annotative Scaling. 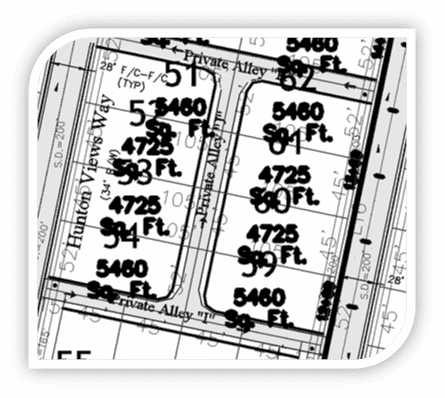 AutoCAD 2008 introduces a new property to viewports â€“ “Annotation Scale”. Thus it is now possible to project my Civil 3D labels & text to say 1″ = 50′, and scale my viewport to 1″ = 100′. By going to the properties task pane for a viewport I can set the viewport scale as I have for years now. Be sure to set your Annotation Scale first if you want it to be different from your Viewport (Standard) Scale. I have the same problem, Did this ever get resolved? Scott – the Ribbon is a function of your main CUI file. Easiest thing to do is copy a the main CUI from another machine, and everything will be good. This did work the first time I tried it within the viewport. Then I did a plot preview, caused it to reset. Even thought the scales are set differently it is not reacting like it did the first time. I don’t understand why, but like DaVe mentioned it doesn’t work properly. Same problem, this doesn’t work, the scales appear different in the properties but not in the drawing. you can do the same thing by adding the land desktop UI and changing the annotation scale the the viewport, appears different on the drawing in the layout but when it is printed reverts to the viewport scale. Please provide more information on this, as I (and many others) cannot make this work. We can set the different scales but there is no reaction to them. Was this accomplished in Beta version? Can you accomplish this all the time? If so, do you have a setting elsewhere to make the scaling work?